Sheila arrives at the shelterMany shelter directors seem to feel that they can't save their sick, injured, or older animals because of the cost of treatment. But with the right marketing, a few special-needs animals can pay for the rehabilitation of nearly all the treatable dogs and cats in the shelter. 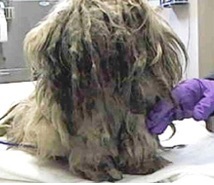 When Sheila arrived at the Nevada Humane Society (NHS), she looked more like a soiled mop than a dog. In addition to the matted coat, she had a broken jaw and a sunken, infected eye from an old injury. All of her teeth were decaying. It's hard to understand how she survived on the streets. 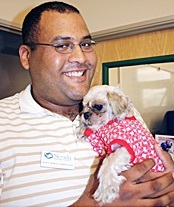 Our vet team and dog care manager debated what was best for her given her advanced age and poor condition. Sheila let her opinion be known - she loved everyone she met and ate with gusto. Her blood test results were promising and so we went ahead with her urgently needed dental surgery. She recovered quickly and seemed thrilled with everyone and everything. We took Sheila's story to the public to ask for help covering the cost of her veterinary care. She was on the local TV news, on the Internet and in the local paper. We also told our supporters about her in an e-mail blast, each time asking for donations toward Sheila's care. The donations began to pour in. Sheila's total care was estimated to cost $2,500, but thanks to the amazing quality of human compassion, over $10,000 was raised to help Sheila and ultimately, other sick and injured animals arriving at the shelter. Sheila also accumulated a long list of people eager to adopt her. Those of us who work in animal welfare have an incredible blessing built into our work - the opportunity to save lives every day. It's not an opportunity most people get very often. We can share that great feeling of being a lifesaver, a hero, with our supporters by inviting them to help save animals that need care beyond the usual. We train staff members, from the person in admissions to the animal caregivers to the clinic staff, to keep an eye out for special-needs animals. When they see an animal who may have a story worth sharing, they are encouraged to let management know about it. For a story to be effective at encouraging giving, it needs to engage our emotions. For us, this means sharing the individual dog or cat's experience - what happened to them and what is needed to set it right. 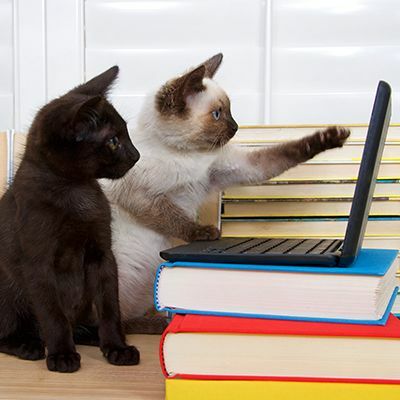 We describe the treatment required, the estimated cost of care, and remind everyone that the pet will need a new home. Because most people are visually-oriented, photos are an essential part of telling the story. While we do not always use the "before" photos, we always take before, during, and after treatment photos. 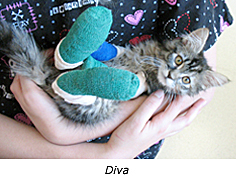 While photos are a critical element in raising funds for sick and injured animals, taking photos of animals is not easy, especially with an inexpensive camera. So we put the word out to supporters that we needed a single-lens reflex (SLR) camera - which has no delay when you click the shutter, making it easier to get great photos of animals. A generous volunteer bought one for us and it has helped us save countless dogs and cats. After the news releases are e-mailed and faxed out, we make follow-up calls to the key media outlets to be sure they received the release and to ask if they think they can cover it. We welcome reporters and photographers to come meet the animal and get video or photos to support their story. While conventional media - television, radio and print - are the bedrock of our communication, we also put the word out on Facebook, via-e-mail to our supporters and volunteers, and on our website. We write a special thank-you letter for each appeal, including a color photo of the dog or cat printed in the letter. We let the donor know what their donation did for the animal, the outcome, and of course, we thank them. If we raised more than was needed for the specific animal, as is often the case, we let people know and give them the opportunity to get a refund. "We received an outpouring of generosity for Bali that exceeded our expectations. Once we have paid the bills for her care, we expect to still have funds left over in her account. We would like to use the remaining funds to help other animals in critical need of veterinary care. We understand that this may not be what you had in mind and honoring your wishes is very important to us. We can provide a refund of surplus funds from your donation OR will have your gift allocated in a different way upon your request." While we always hear from some people who want to let us know that they are happy to have their gift used to help other injured animals, we have never had anyone request that the funds be returned. The funds raised by dogs like Sheila and Bali or by cats like Trapper John who was caught in a leg-hold trap or Diva with burned paws, have helped countless other animals in need of lifesaving care who had less engaging stories. Last December, we borrowed a winning idea from Charlottesville-Albemarle SPCA and told the story of our top animal rescues of the year as The 12 Saves of Christmas. Each day for 12 days we e-mailed one animal's story illustrated with photos and asked people to make an end-of-the-year gift to help other animals. (They were also posted on Facebook and our website.) We received many calls and e-mails from supporters saying how touched they were by the stories and that they could not wait to see the next day's highlighted rescue story. On the 13th day, we sent a link to a video one of our staff members created recapping the 12 animals. You can check out our 12 Saves of Christmas video here. We saw a 50% increase in individual giving in December over the previous year. We worked with our in-house veterinarians to create a wish list of items that would help them save more lives and have found that supporters are very happy to help purchase equipment for the clinic. We've raised funds for autoclaves, incubators, Heska pumps, dental equipment, an induction chamber, and equipment for performing orthopedic surgeries. Maddie's Fund® generously funded a digital x-ray machine, which made a world of difference in the care we are able to provide through our clinic. We have cultivated a relationship with Sierra Veterinary Specialists, a local clinic that has surgical capabilities far beyond most clinics. They have performed lifesaving surgeries, at or below cost, on countless animals from the NHS shelter over the past several years. Perhaps you can develop a similar relationship with a specialty clinic in your community. Not only has telling the stories of treatable animals enabled us to raise needed funds to save them and countless others, but it has had the added benefit of engaging our community in this lifesaving work. Many people in any community care deeply about animals but most do not have the time to volunteer. Others may not feel that they can emotionally handle getting personally involved with animals in the shelter. Opportunities to donate to help an animal in need provide the perfect outlet for this majority of animal lovers. The donors get the uplifting and well-deserved feeling that comes from knowing they have helped save a life and we get the resources we need to fulfill our mission.